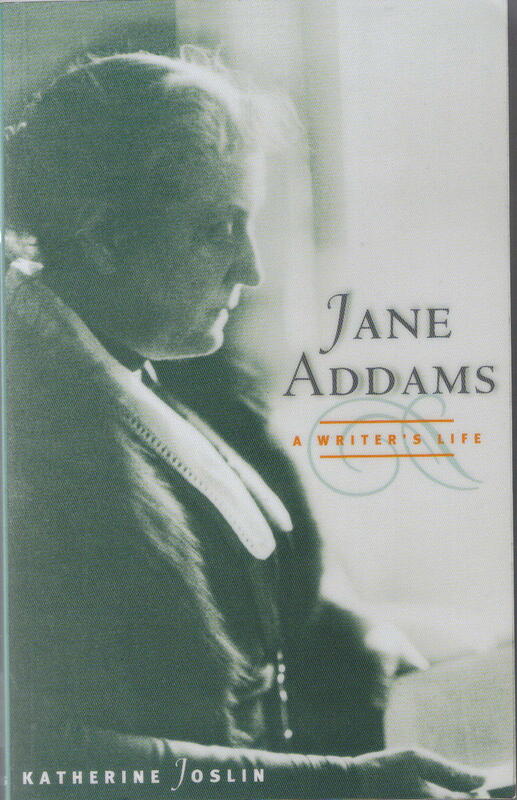 This biography of Jane Addams, social reformer, pacifist and champion of women’s rights, is worth reading, though it’s not easy reading. I don’t think this is the fault of the author but is rather a reflection of the complexity of her subject. Jane founded Hull House, a kind of hostel for the poor and homeless in Chicago, and devoted much of her life to managing it and directing its associated activities. She was also a tireless campaigner for a non-violent approach to world problems and was also immersed in various ‘suffragette’ movements. Throughout all this (and more) she found time to write several books outlining the social problems of her city, and society in general, from the point of view of those on its lowest rungs. And she was still writing, though in poor health, up until her final 75th year. Born in 1860, she died in1935, having received the Nobel Peace prize in 1930. The fact that Katherine Joslin manages to give a detailed account of all this in 261 pages took some skill, not to say genius. There are some fascinating insights into the history of, and attitudes towards, women’s rights in the United States. Jane herself was of a comfortably-off background and did not see that she should not from time to time escape for a decent holiday, or have a nice house where she could retreat when things got too tough to take. She got some criticism for this, but she gets none from me. Without those respites I fear she would have burned out long before the age of 75. She certainly would not have been able to write. Of all the vicissitudes she endured the one that affected me most was the way she suffered during WW I because of her pacifist views. She, and others of the same viewpoint, were reviled and all the good work she had been doing, and all her championing for social reform were forgotten overnight in the heat of ‘patriotic fervour’. She took very badly the desertion by Woodrow Wilson who, it seems, had been preparing for war all along while giving the impression that America would stay neutral. That is not the impression I had of him up to this reading, and so I will have to have another look at this man. A fascinating, very sobering, very serious, read. Next Post: ‘Chapters and Verse’ Lunchtime Reading at Chapters Bookshop Wednesday 3.03.2010.